We stayed in Canggu and rent a scooter to explore the Tanah lot temple. 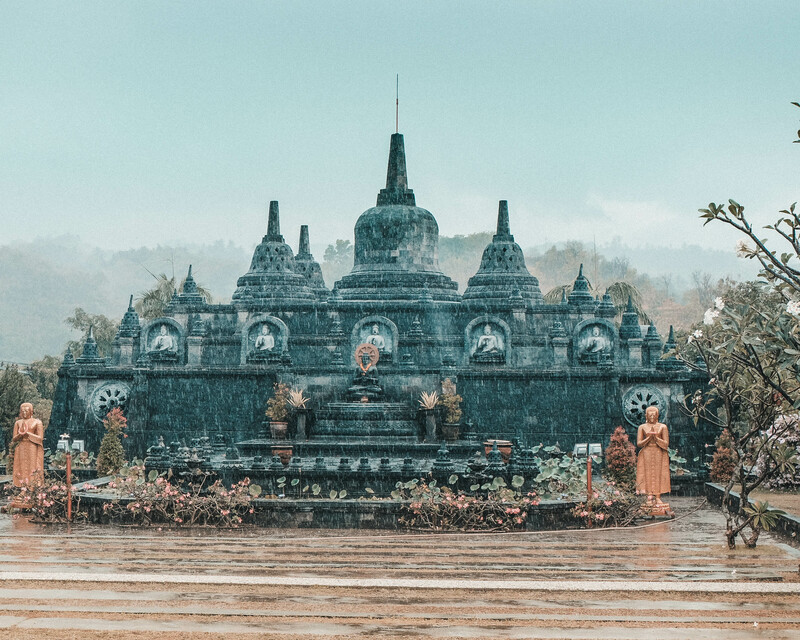 Besides the famous Tanah Lot temple you will find in the same park the Purah Batu Bolong Temple, which is a bit underrated and not so known compared to the Tanah Lot. 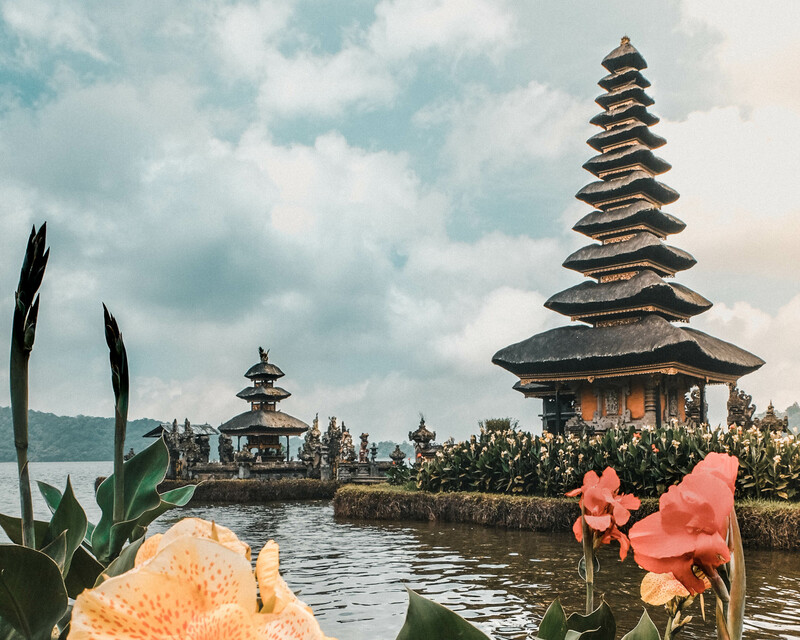 This temple area with those two temples, is probably the most beautiful in Bali! How to get to the Tanah Lot temple? Canggu is situated in the southern part of Bali, close to the better known city "Seminyak". Bali has its own airport in Denpansar which is 40 min car drive away from Canggu. 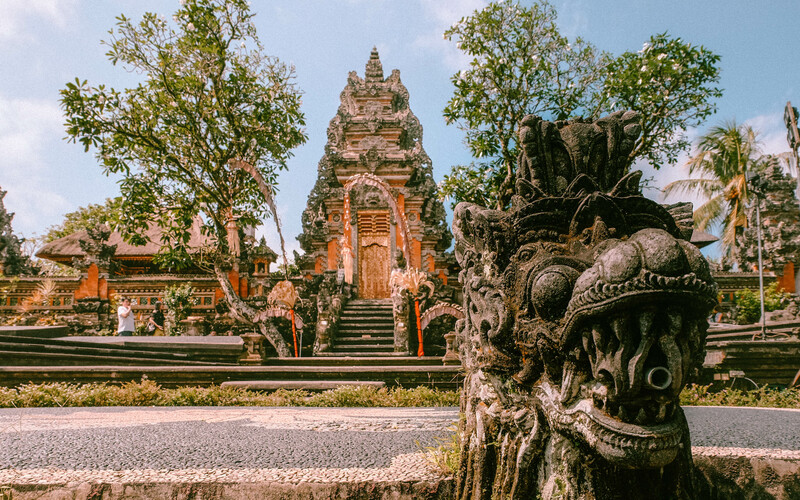 From Canggu you can book a guided tour to the Temple. Take a taxi or an Uber, probably every driver will know where to find the Temple. Concider to rent a scooter as we have done it. Beware of the crazy traffic on Bali streets. But exploring with a scooter is really the most flexible choice. The famous Tanah Lot Temple built on a island in the sea. The Tanah Lot Temple was built on a Island. Well most of the time its an Island. Depending on the tide, you will be able to walk on the rocks and get access to this "Island". Otherwise the only way to get to the temple is with a boat. At the time we were there we could not get on the Island but it is impressive to see the waves clash against the rocks this temple is built on. 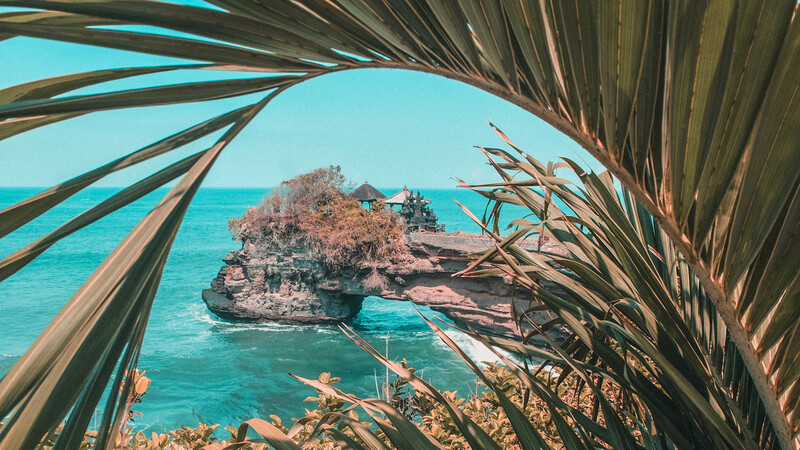 Besides the famous Tanah Lot Temple you will also see the Purah Batu Bolong Temple which also a stunning one built on a cliff which is connctet with a stone "bridge" formed by nature. I concider this area as one of the most beautiful temple area in Bali. Stairs leading from the beach up the way to the temple.